Combining technical performance with style, the Momentum Long Sleeve Zip is a midweight jacket that will take you from the gym to the coffee run and beyond. A versatile top for during or after workouts, it’s made from Cool-Lite fabric, a blend of soft merino wool with natural Tencel to keep you cool when the temperature rises, with a touch of Lycra for dynamic stretch. The fibers are corespun around nylon for added strength and durability. 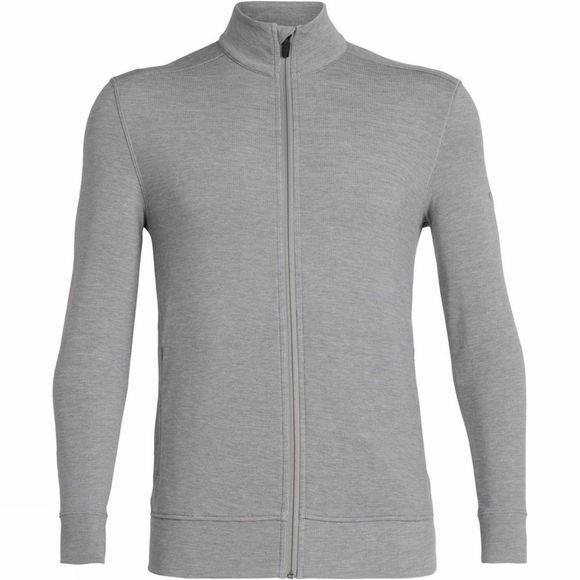 Clever details make this a comfortable and practical choice, with its forward-set shoulder seams and reverse-coil zip with storm flap. The zippered hand pockets keep small essentials safe.